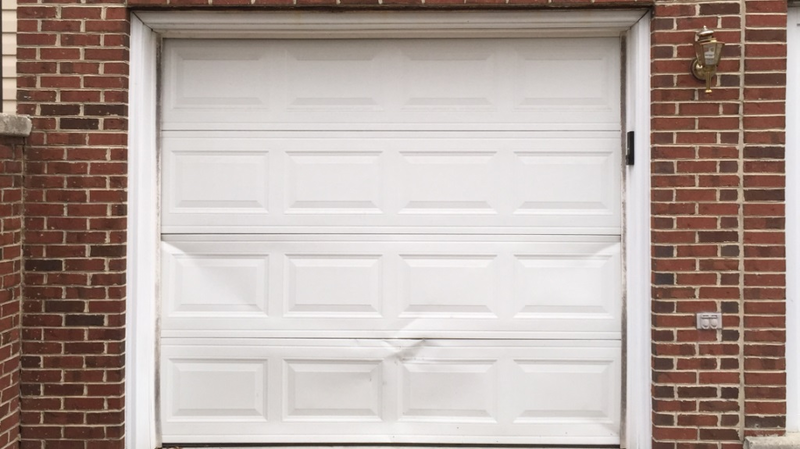 The aesthetic appeal of a home can be diminished by a dented garage door. Sometimes the damage is to a single panel or two. 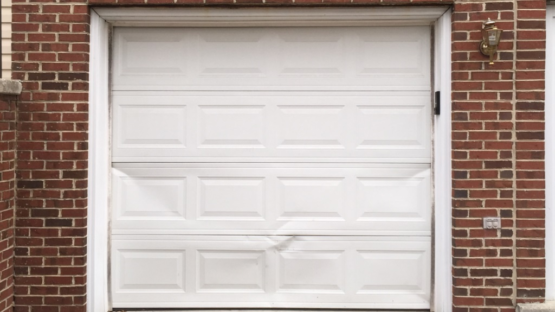 This kind of garage door repair is a common yet complex repair job. Your garage door is easily the largest and heaviest door in your home. The repair of this essential door requires competence and experience. 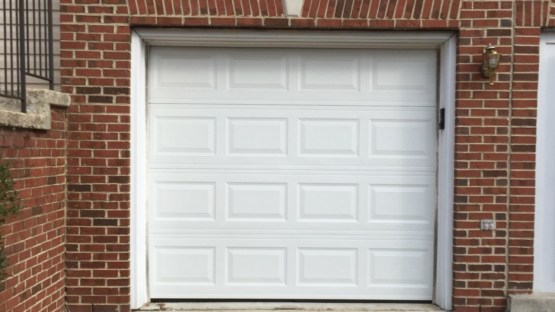 495 Garage Door has the knowledge and expertise to get the job done. The damage to this single car garage door seemed superficial from the outside but looks can be deceiving. This type of garage door has over 25 parts. Repair and installation require expert and seamless application of all 25 parts. In our diagnosis we completed a thorough inspection, and determined the extent of the repair. We found matching size and texture for the damaged door panels.